Horses have been part of the Bachl family for many generations. Early on, sturdy Rottal horses were used as workhorses and were a valuable asset on the family farm. Later, the Bachls became fascinated by trotting horses and the first standardbred stallions found their way into the stables in Postmünster. Advances in technology meant that the workhorse was eventually replaced by machines, but the family continued to breed trotters used in harness racing. In 1939, on the eve of WWII, they were forced to abandon their breeding activities. Their love for horses, however, endured, and was passed on to the next generation. In 1960, Josef Bachl made sure that sport horses returned to Gut Fasselsberg – this time it was jumpers, not trotters – and he founded the Hengststation Bachl. Josef Bachl passed his passion and knowledge on to his two children Judith and Tobias, who both became successful showjumping athletes. In 2000, Tobias Bachl took over the stud and moved the venture forward. Unfortunately tragedy hit in 2013, when a big fire on the farm killed a large number of horses and burned down the best part of the business. Tobias Bachl and his family made a fresh start and in 2014 laid the foundations for the new stud at a new site. Here Tobias started to combine traditional breeding lines with modern and internationally successful lineages under one roof. 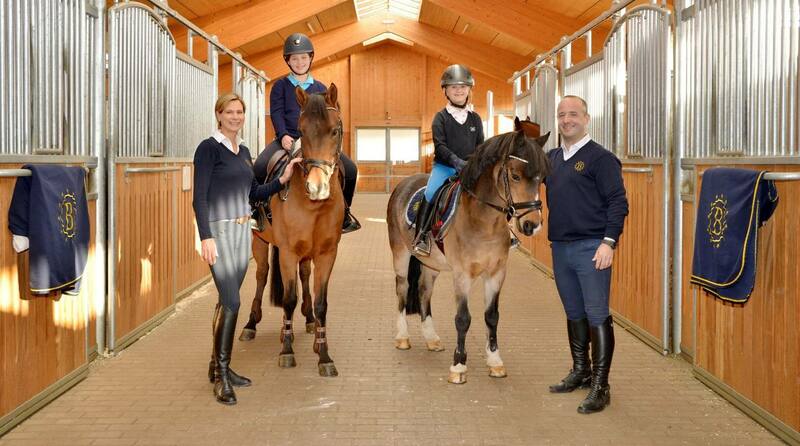 Tobias Bachl and his wife Elke have made sure that their love for horses and their dedication to equestrian sport and breeding continues to live on at this new location. They are busy passing this passion on to their daughters Emma and Carla – the next generation.